In this Quickstart we'll highlight a few of the key features of Add-ons and get you set up to start using them today. Let's dive in. 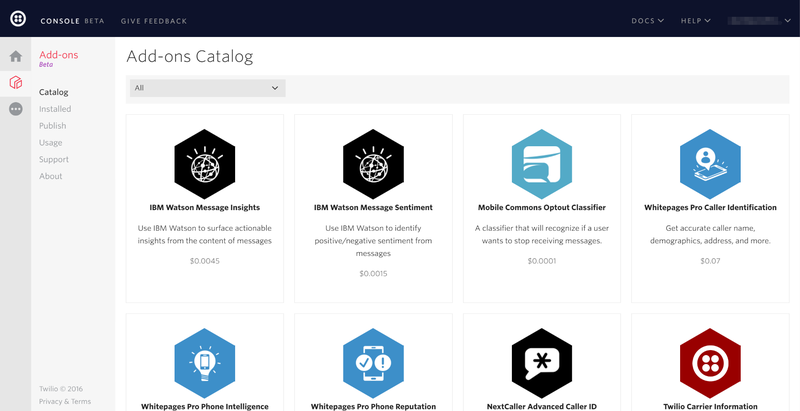 Add-ons are enabled through your console, and once installed, they enhance specific Twilio APIs, such as returning the spam score of a phone number or providing sentiment analysis for a message. 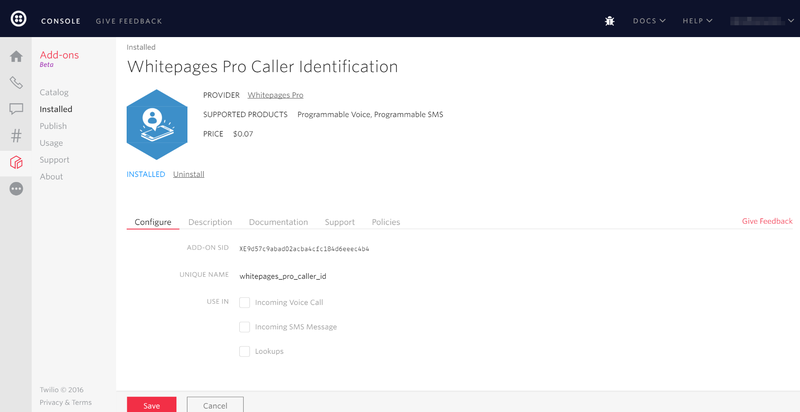 Let's enable an Add-on for SMS called Whitepages Pro. Great, now we're ready to use our newly enhanced SMS API. Let's look at some code. The Whitepages Pro Add-on is now enabled for all incoming SMS Messages, which means in order to see it in action we're going to have to receive an SMS. Save these settings and let's try it out! Pull out your phone and send an SMS to the phone number you updated. If successful you should get a response with extra information about your phone number. 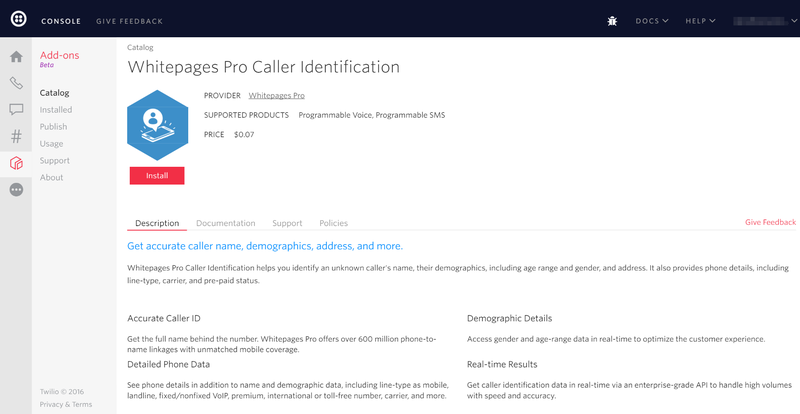 Whitepages Pro also works with incoming Voice numbers. 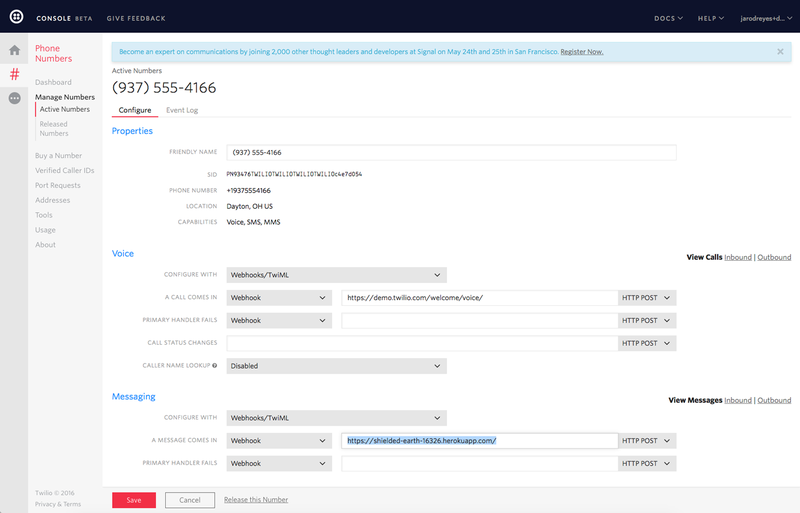 Now you know how to enable an Add-on for a Voice or SMS number and consuming the information is as easy as reading the new AddOn property in the Twilio Request. Now let's take a look at consuming Add-on information that is attached to specific API calls. Look up a phone number including the Payfone TCPA Compliance Add-on results. Fantastic. In about 5 minutes we enabled a couple Add-ons, inspected some new data about your customers and learned how to interact with the new Add-ons Marketplace. To learn more about using Add-ons check-out the Add-ons Reference.